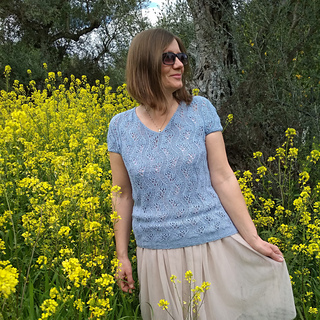 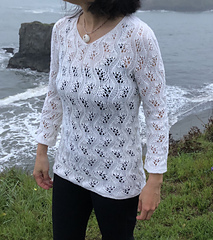 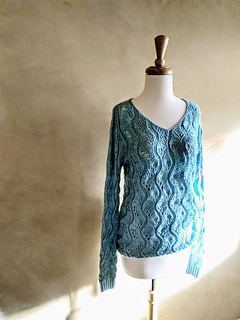 The body and sleeves are worked separately in the round from the bottom up to the underarm, then joined to work the yoke in the round to the neck, while making a V-shaped neckline and the neck band at the same time. 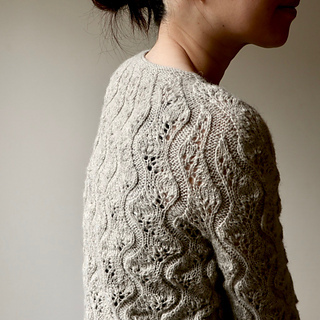 This stretchy pullover is designed to be one size only. 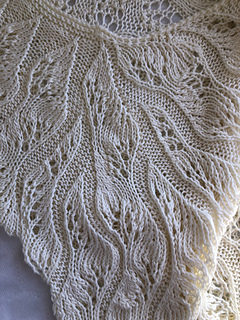 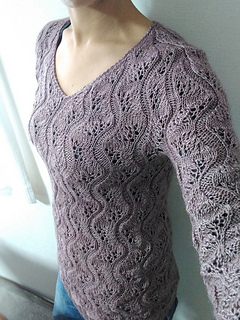 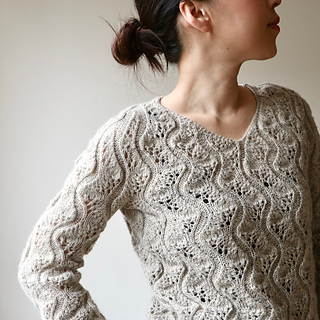 If you’d like to scale this pattern for your size, change the gauge without changing the number of stitches and rows due to the unique methods of shaping in lace pattern.